Vehicle wraps are a memorable advertising technique with high returns on investment. It’s a highly customizable marketing strategy, and perfect for any business in the Minneapolis – St. Paul market area, to use on one business car or an entire fleet. However, just like any marketing solution, things can go wrong when the service is not properly executed. 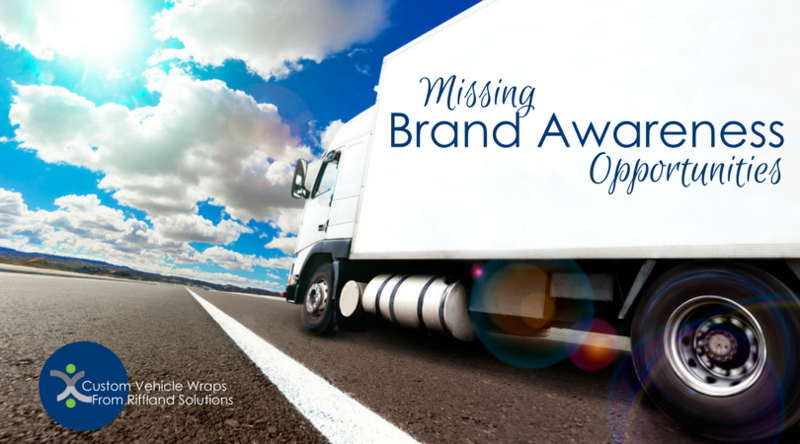 The last thing you want is to have poorly designed and installed vinyl wraps on your business vehicles—a mistake like that could really set a business back. So how do you make sure the services you’re getting are high quality, and won’t have you regretting your decisions? Your business vehicle is parked in a Twin Cities lot, or zooming down the street, and a potential customer glances at it, briefly, as they walk or drive by. The design of your vehicle wrap has to make a make a good impression and actionable impact in a short amount of time. If your design does not draw any eyes, then it won’t draw any business. There is no sense spending money on vinyl vehicle wraps unless they are professionally designed, printed, and installed with high quality materials. Unless you run a hard marketing material business like Riffland Solutions, you can’t do it on your own. The team at Riffland Solutions will make sure your design will look great on any vehicle shape you desire, and size it properly so it is proportional. Everything from design color, shapes, images, and text must be carefully considered before creating and installing vehicle wraps, and it is crucial not to skimp on this step. Trying to find the cheapest option to wrap your vehicle or do-it-yourself kits may lead you into a situation in which there is no designer to ensure everything will look right, and catch eyes on the street. It should go without saying that trying to save money and skimp on quality is never a good idea, but it’s especially important when it comes to vehicle wraps. It’s not a simple process, so it’s not something you can do carelessly. Vehicle wraps must be printed on high-quality printers that can produce high definition graphics. In order to avoid shoddy printing jobs and poor graphics, you must make sure that the company you’re working with has the right kind of printer and materials. High-quality vinyl wraps are the most common adn versatile in the Midwest. From the equipment to the installation, the highest quality process will yield the highest quality final results. If your business is going to be represented by the vehicles driving around for everyone to see, it should probably be the best quality name tag you can get. Riffland Solutions has the best connections in the region and can effectively manage the project from concept to completion for the best success. Number 3 on the Top 5 things you need to know when buying custom vehicle wraps and services is advice you have probably heard a lot before. If you choose to work with the cheapest or lowest quality option available, in the end, it will probably not end up being a great investment. Setting aside a budget for quality vehicle wraps in your marketing strategy will ensure that you receive the highest quality within the bounds of your budget, and you will be less likely to be disappointed in the final result. Knowing what you are willing to pay for is essential, especially when it comes to a service like vehicle wraps. This is not a service that can be included in incidental costs. It’s something that should be planned for, to get the best results. Your company might have trucks, vans, or cars; maybe something even larger or smaller, but the point is, vehicles come in many different shapes and sizes, and as mentioned before, it’s important to make sure your design is going to work on your chosen vehicle. One-size-does-not-fit-all! No matter if you have a long-haul truck, food truck, contractor’s vehicle, sales vehicle, window installation & repair vehicle, mobile pet groomer, mobile medical van, moving truck, people mover or coach bus, real estate team, security team fleet, or delivery van… there are many industries that would benefit from branding on the move, and many styles of vehicles that require customization. Don’t be fooled by one-size-fits-all solutions and compromise quality trying to save a dollar. During a quoting process, the vehicle(s) of your choice will be examined and evaluated, from the condition that it’s in, to the shape and curve of the vehicle. This ensures the person designing the wrap and the person installing it are working together to make the vinyl customized to your specific needs. The last thing you want from a budget vehicle wrap service is a design and installation not tailored to the specific shape and condition of your vehicle. The last thing you want to do is pay for your vehicle(s) to be wrapped and then end up with problems like improper installation or something about the design that you don’t like. Just like choosing a company with quality materials and printers is key, so is choosing one that genuinely cares about creating a high-quality product for you, on time, and in your budget. If you want to feel your money was well-spent, and be pleased with the final results, you have to choose a trustworthy company that cares about your end product and experience as much as you do. 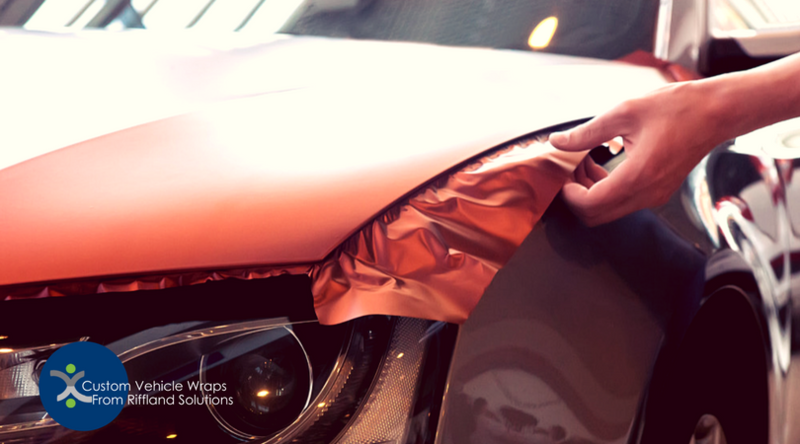 Vehicle wraps are designed to last for years, so you don’t want to be stuck with a product that doesn’t work for you, and neither does Riffland Solutions! These are just our Top 5 things you need to know when buying custom vehicle wraps and services, but Riffland Solutions can answer any questions you may have about our vehicle wrap services to ensure your money is well spent, your product is done on time, and you have the best experience possible in creating your hard material marketing products. Riffland Solutions is a local Hard Material Marketing Agency specializing in consultation, creation, and delivery of custom vehicle wraps and vehicle graphics in and around the Minneapolis area. They have an A Rating with the BBB, are Certified WBENC and have countless satisfied clients. Call for more details today 763-767-0401!